This one of a kind necklace features an artisan pewter heart pendant. 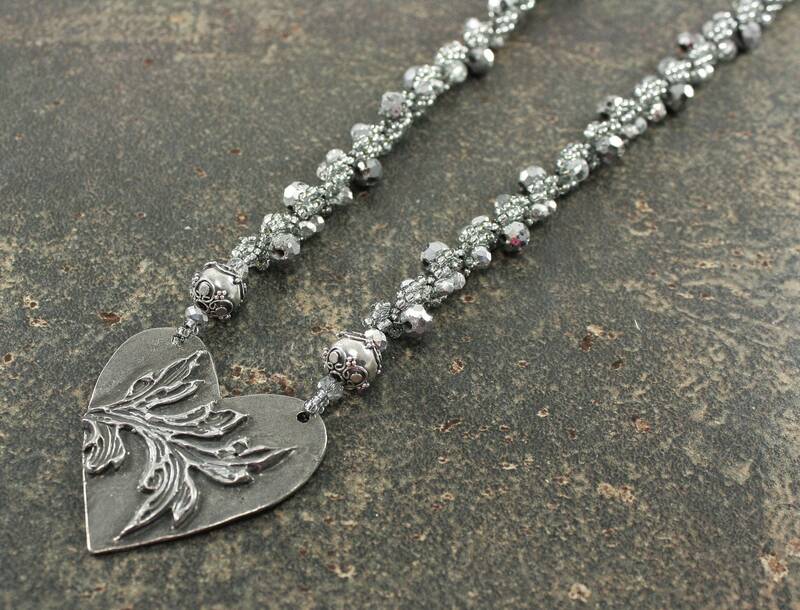 The heart is framed by sterling silver beads and a necklace hand beaded with silver seed beads, crystals, Czech glass beads, and semi-precious druzy beads. The necklace is finished with a sterling silver toggle clasp. The pendant drop adds another 1 3/4 inches to the length.